Geneva/JacksonHole, WY, US, 24 September 2017 – Have all the big cats ever come under the international spotlight as a group? Probably not, but they will soon. The Secretariat of the Convention on International Trade in Endangered Species of Wild Fauna and Flora (CITES) and the Jackson Hole Wildlife Film Festival announced today that they are teaming up again to organize an international film festival, this time for the world’s big cats, to raise global awareness of the critical challenges facing these iconic species. The Film Festival will be one of the global events that will anchor next year’s UN World Wildlife Day (3 March) celebrated around the theme of big cats. Winners will be announced at UN Headquarters in New York at a high level event to observe the Day. Big cats are among the most widely recognized and admired animals across the globe. However, today these charismatic predators are facing many and varied threats, which are mostly caused by human activities. Over the past century, we have been losing big cats at an alarming rate due to loss of habitat and prey, conflicts with people, poaching and illegal trade. For example, tiger populations plummeted by 95% over the past 100 years and African lion populations dropped by 40% in just 20 years. A range of measures are underway to arrest this decline, but more needs to be done. In an effort to reach as wide an audience as possible, the expanded definition of big cats is used for World Wildlife Day 2018 and the film festival, which includes not only lions, tigers, leopards and jaguars -- the 4 largest wild cats that can roar - but also cheetahs, snow leopards, pumas, and clouded leopards. Big cat species are found in Africa, Asia, and North, Central and South America, representing a virtually global distribution. The CITES Secretariat is designated by the United Nations General Assembly as the global facilitator for the celebration of the World Wildlife Day each year in collaboration with organizations in the United Nations system. The call for entry will start in October and close on 15 December 2017 and finalists will be announced in January 2018. Winners will be presented at a high level event to coincide with the global celebration of UN World Wildlife Day at UN Headquarters in New York on 3 March 2018. Micro movie (under 5 minutes). Programmes created since 1 January 2010 are eligible for consideration. Entries must have been completed after 1 January 2010 but need not have been broadcast/exhibited prior to submission. Entries for competition are invited from media producers from around the world. Media submitted may be of any length, may originate in any format (including animation) and be fictional or non-fictional. Motion picture programmes must have mixed (mono/stereo) audio track on both channels, and there must be an English version (dubbed or subtitled). Submissions in all official UN languages (Arabic, Chinese, English, French, Russian, and Spanish) are welcomed. Programmes in a language other than English must be subtitled in English for Festival presentation. Eligible entries are required to complete submission form via www.JHFestival.org. Entries will be uploaded to a private and secure Vimeo channel for judging. Jackson Hole Wildlife Film Festival’s (JHWFF’s) programs promote public awareness and stewardship of wildlife and wildlife habitat through the innovative use of media. 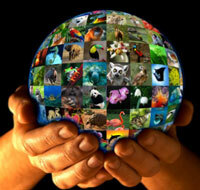 Since 1991, its annual conferences draw together international leaders in science, conservation, broadcasting and media. For three days this year, committed wild cats advocates convened for the Jackson Hole Conservation Summit (24-26 September), to share resources and strategies, address critical challenges and brainstorm innovative approaches for collaboration. They joined 650+ of the world’s most influential filmmakers and commissioners at the Jackson Hole Wildlife Film Festival to celebrate the world’s finest nature programming and explore innovative ways to integrate media centrally into the battle against global wildlife crime.